We Are Well Established MG Restorers & Also MG Owners Club Recommended, Providing Restoration, Maintenance, Race Preparation & Sales Of Most Models Of MG Classic & Vintage Cars. Our Family Have Been Restoring MG’s For Over 30 Years, Accumulating Vast Knowledge & Experience On A Variety Of Models Of MG.
Read Our Story Below For Information On How We Gathered This Knowledge Of The Marque. We Are Also MG Owners Club Recommended Restorers. 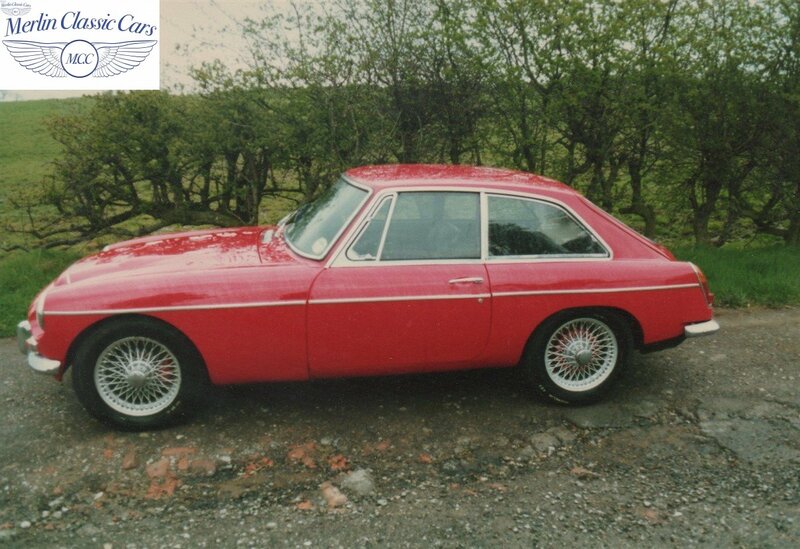 In the late 1970’s Alan bought an accident damaged MGC GT, and decided to start restoring MG’s. Alan met Barry Stafford in the late 70’s when he used to buy MG parts from the garage at the side of his house. He later then set up the MG shop at Cheadle in Stockport and some years later was bought out by the Moss Group. 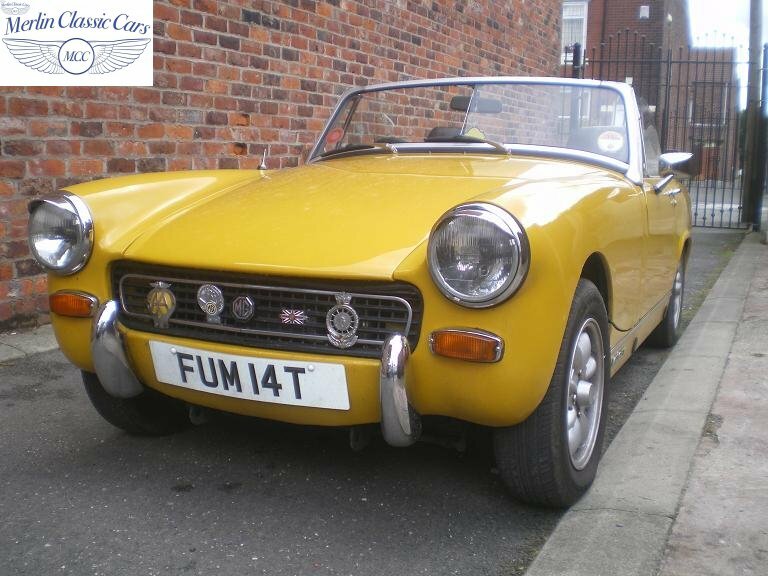 Merlin Classic Cars have been buying MG and Midget parts from the shop since then. Alan’s first restoration was on the MGC GT, which had hit an armco barrier sideways, at 90 plus MPH, and had the imprint of the armco down the full length of the car. From the smashed headlamp on the front wing, along the wing, door & along the rear wing, the impact of the armco was clearly visible. The front wing, door skin and rear wing were replaced, and the car was duly prepared for paintwork. The MGC GT originally was a British Racing Green car, but this not being a favourite colour of ours, we decided to do a full colour change to Tartan Red. We removed the engine, gearbox and all under bonnet ancillaries, prepared and painted the engine bay. All the doors were removed and the door apertures were prepared and painted. 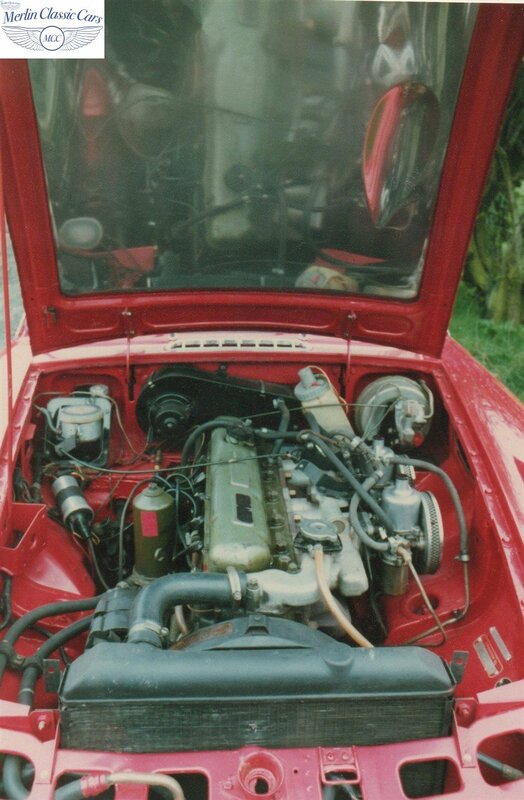 The engine was in very good running order so after being removed from the car was stripped, pressure washed and painted the correct Healey green colour. After painting, the car body was reassembled with either new or restored parts. Before painting the bonnet Alan polished under the aluminium bonnet to a mirror finish. The bonnet’s mirror finish reflected the now detailed engine bay superbly, as you can see in the photo to the right. 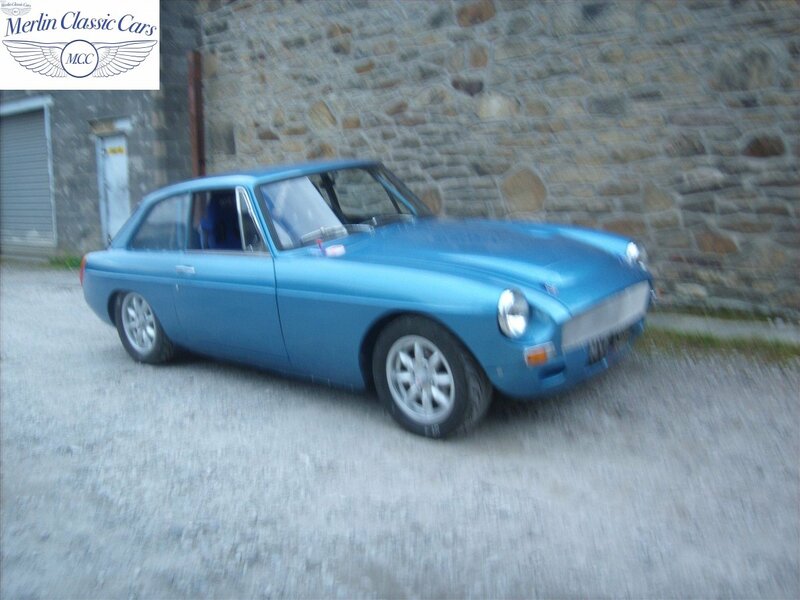 Since those early years we have restored, repaired and serviced many MG’s of all vintages, MGA’s, MGB’s, MGC’s and MG Midgets, and we have been MG Owners Club recommended for many years now. As you can see, we have a wide knowledge of the MG marque, so why not phone or email to discuss your project. For More Examples Of Our Work Please See Our Gallery Page. For All Your Classic & Vintage MG Requirements Contact Merlin Classics.